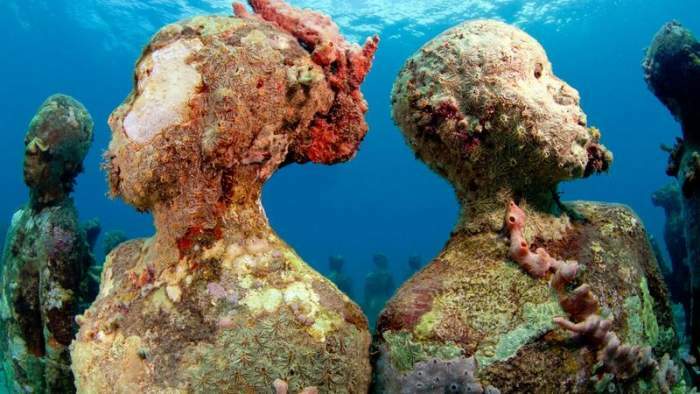 From immersed saints to Greek Gods, these are the world's most wonderful underwater sculptures. 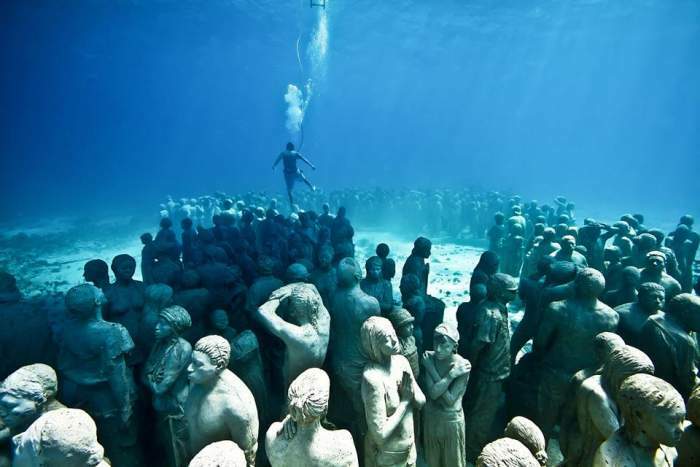 13 Mysterious Statues You Can Only See Underwater: There are many natural wonders in the vast oceans. They are also home to some amazing man-made wonders. 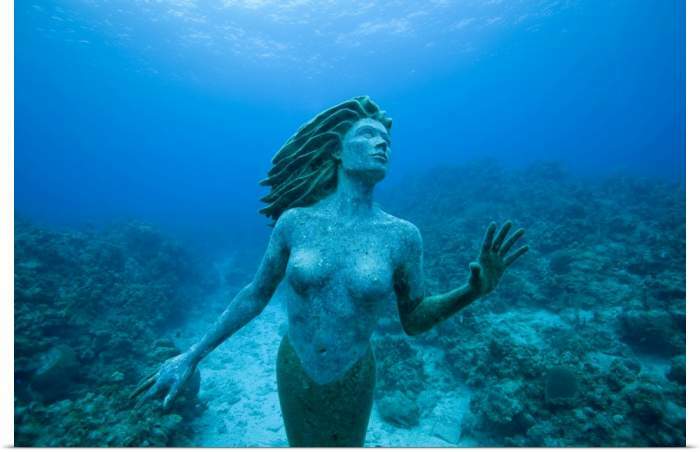 Statues throughout the world have been drowned in the oceans for various reasons whether in the form of a memorial, or to offer protection to a delicate marine environment, or simply as art. These sculptures are now decorated with colored algae and some of the mysterious statues have become tourist destinations in their own right. This is a 272kg mermaid statue 50m offshore from the property on the island’s southwest point. 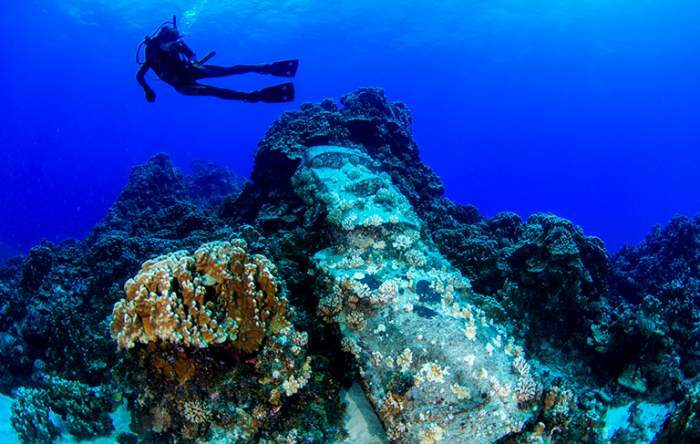 You’ll find her at 15m of depth which is in the easy swimming reach of divers and snorkelers alike. 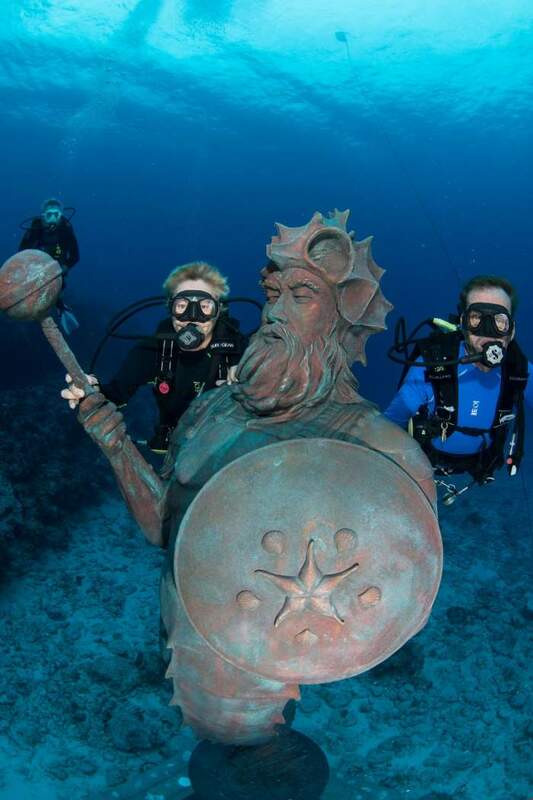 It brings luck to put a smooch on the Guardian of the Reef – or says Nancy Easterbrook, who drowned merman in the front yard of her Grand Cayman scuba shop, Divetech. Easterbrook also explained that the same sculptor who made the Guardian prepared a mermaid at Sunset House. For the magnified experience, Taylor advises the audience to learn scuba dive. As per his saying, “You want to take a step back and see the whole establishment/installation; The beauty of being a diver and then seeing that, looks like a 3D world. 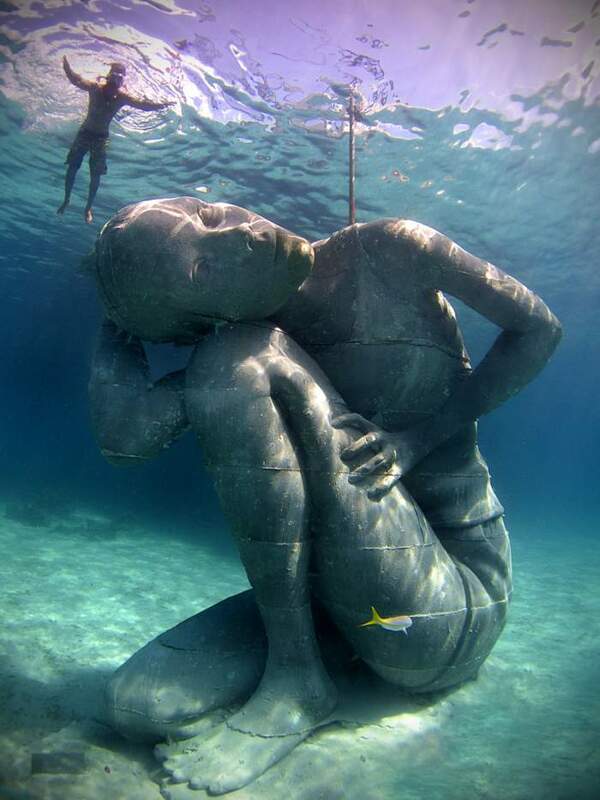 The credit of the world’s largest underwater statue also goes to the Taylor, the mind and chisel behind Ocean Atlas. The statue of 60 ton signifies the greater need for ocean conservation, which is placed at a site in immediate need of reformation. It’s the place where first Italian diver Dario Gonzatti lost his life scuba diving in 1947. Now, there stands a 2.5m bronze Christ, created by Italian sculptor Guido Galletti. It’s 10m under the surface, popular among freedivers and scuba divers who wish to pay tribute to those who have taken their last breaths in the sea. Galette’s mold produced three figures: The first is mentioned above of Italian Riviera; the second is contained in Grenada, which awarded the Italian team who drowned in the tragic 1961 sinking of M.V. Bianca C passenger ship. 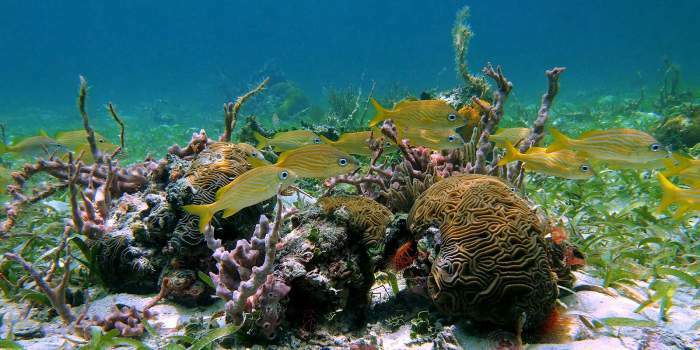 The third one you’ll find in John Pennekamp Coral Reef State Park, 8m deep off Key Largo. Its GPS coordinates are widely published, making this site one of the most widely viewed water attractions of the planet. Just ask a local with a GoPro (tools used for water diving) and fins. Started as an initiative to stop illegal fishing practices – such as the use of dynamite and cyanide – which resulted in a destination for underwater pilgrimage. 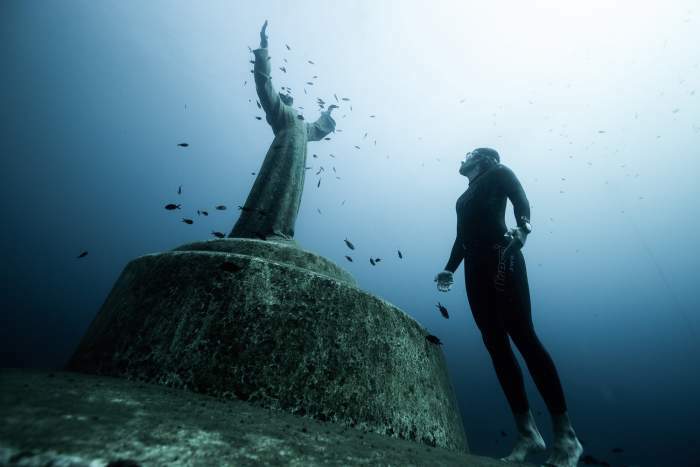 In 2010, the Virgin Mary and young Jesus’ 4-meter tall representation were immersed in the Bien Unido Double Barrier Reef Marine Park off Bohol. As if now, it’s a mystery as to what created the Asian Atlantis. This sequence of sandstone formations off Okinawa, Japan, has too many right angles, terraced structures, pillars, and other features, making it the wonder of Mother Nature. Yet, the question is, if manmade, how did it end up 5m underwater? 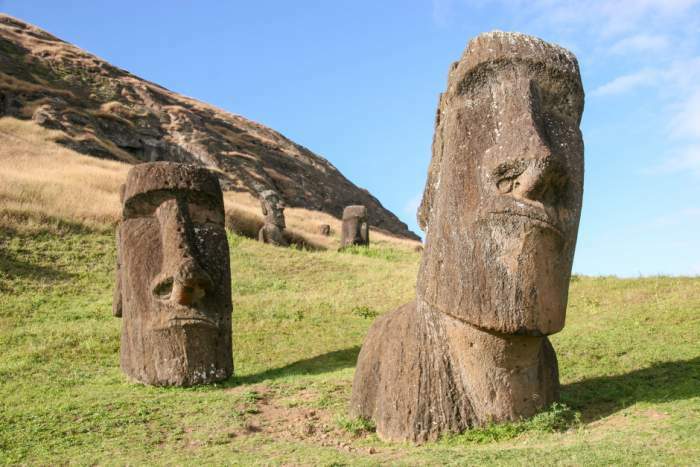 How Easter Island moai – unemotional-face 7m tall monoliths -came to exist can be haunting. 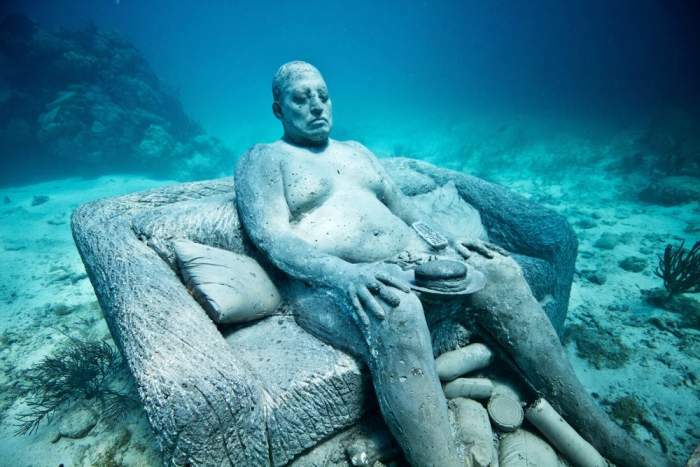 It is not like a single statue underwater. This is not an ancient wonder, but instead, a failed effort by Kevin Costner flick, Rapa-Nui, who is responsible for this face, is now located above the corals for divers to marvel. 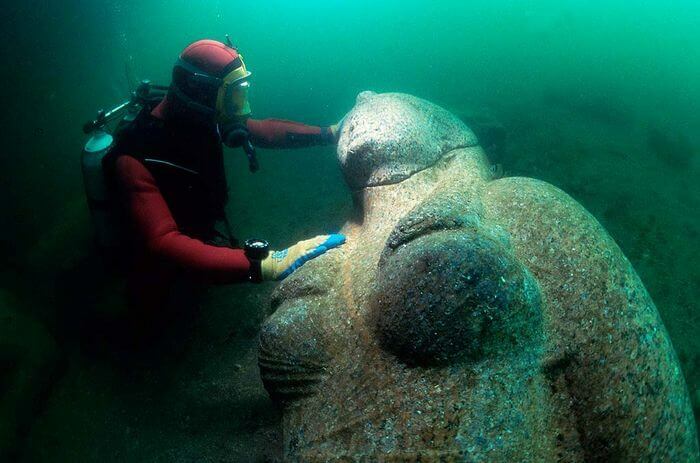 The cities of Heracleion and Canopus once protected the entrance of ancient Egypt and during the Trojan War, which may have been connected with such notorious historical figures as King Menelaus of Sparta. 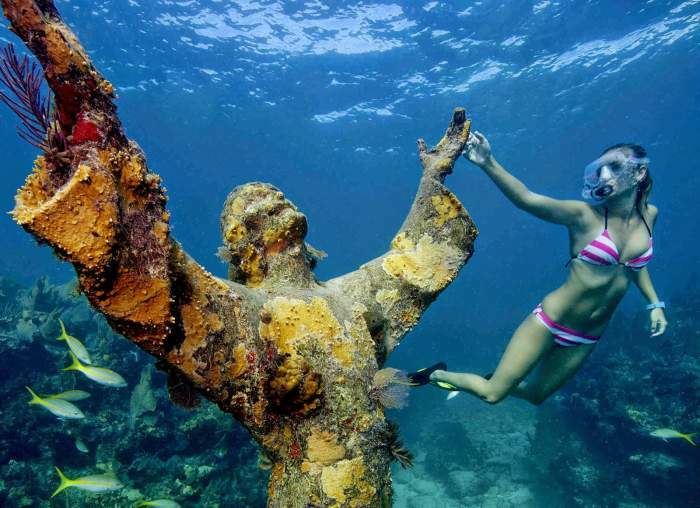 The remains of these ancient cities are found deep underwater allowing many stone statues and sculptures to hold much of their former glory. 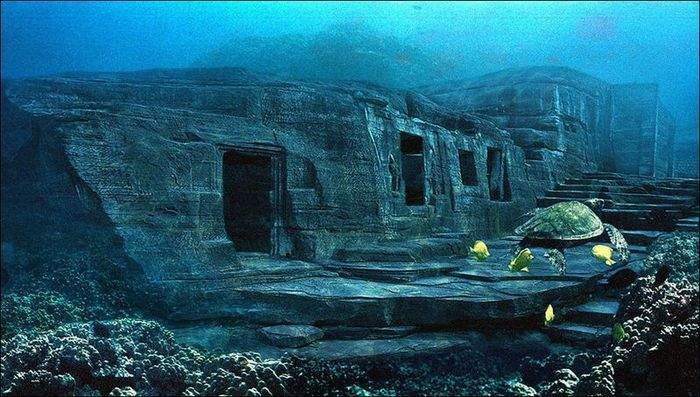 These scary underwater statues, some describing stately pharaohs in the classic style of ancient Egyptian, and the ruined temples and residences that once surrounded them were long thought to be made by legend. Bali has made its own collection of conservation arts, which is slowly and slowly becoming part of greater coral reefs of the area. 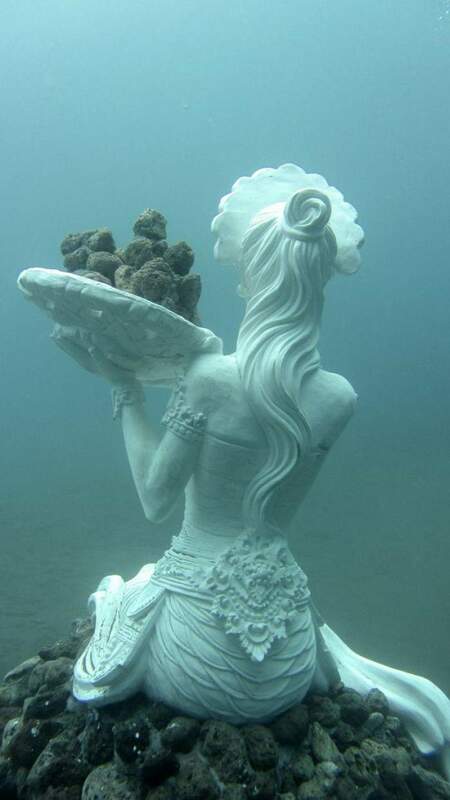 This ecological interruption strategy has been applied alongside many Living Sculptures on the banks of Bali, surrounded by reefs, which are there changing constantly and lying in wait to surprise and fascinate divers. The figures of traditional Balinese are narrowly prepared and are stored in the collections of underwater artworks created from unlikely found objects like bicycles. 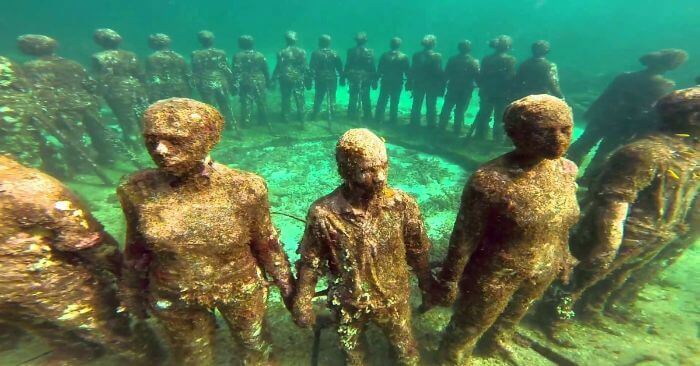 These amazing underwater sculptures have been created by several artists to help, support, and create awareness of the struggle of coral reefs to survive among human pollution and destruction. Port Royal was once known as “the evil city on earth” (its excessive piracy, prostitution, and alcohol consumption). After the earthquake in 1692, part of Port Royal was immersed. The debris scattered in Kingston Harbor, and presently, the ruins of the city include 13 acres of land in a depth of 40 feet. The site’s archaeological investigation began in 1981, led by the Nautical Archaeology Program of Texas A&M University. As per historians, these immersed ancient remains are thought to be the Royal Quarters of Cleopatra that was pushed into the sea by earthquakes and tidal waves, 1,600 years ago. The statues at the ancient site include representations of animals including lions and ancient Egyptian iconography. This spectacular ancient palace is a source of everything ranging from domestic pottery and tiny personal artifacts to the remnants of giant sphinxes, pillars and towers frozen in time. This place is a pure interest of archaeologists desires to uncover the submerged treasures from Cleopatra’s ancient lost palace. 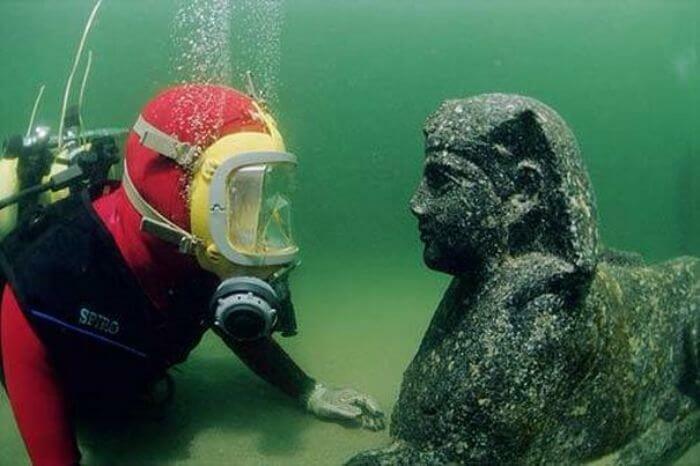 The incredible submerged palace is very well preserved and by this the city of Alexandria is planning to offer tours and its underwater mysterious statues and other ruins.